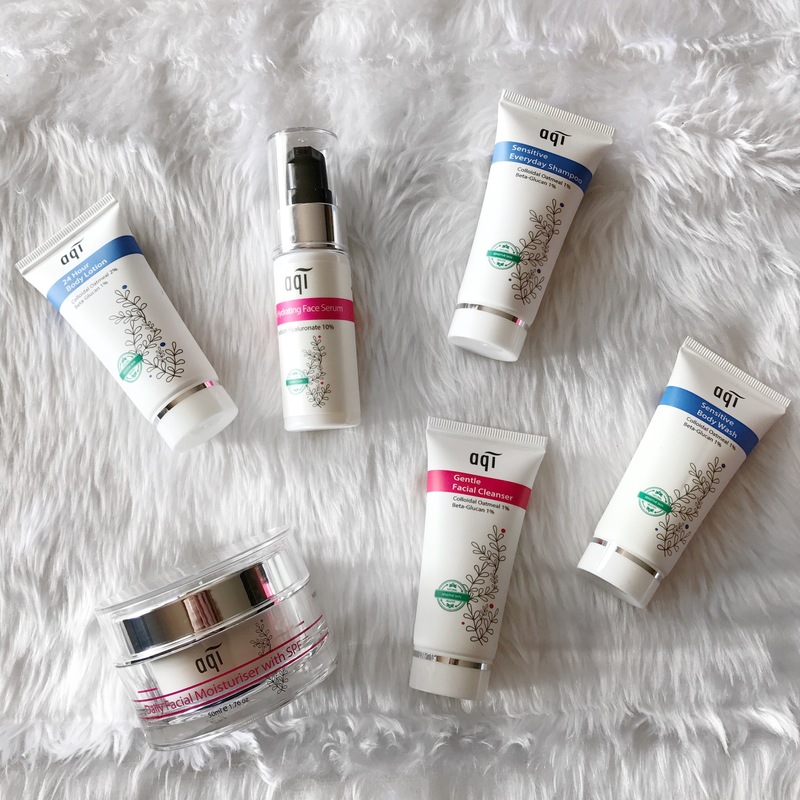 I was lucky enough to receive a gorgeous little package from AQI Skincare, an Australian natural skincare brand targeted at assisting those with dry and sensitive skin! I really wanted to talk about the items that I received because I’ve been trying them for a few weeks. So if you’re looking for natural, cruelty-free skincare that can assist your dry and/or sensitive skin, stick around and check out this cool brand! 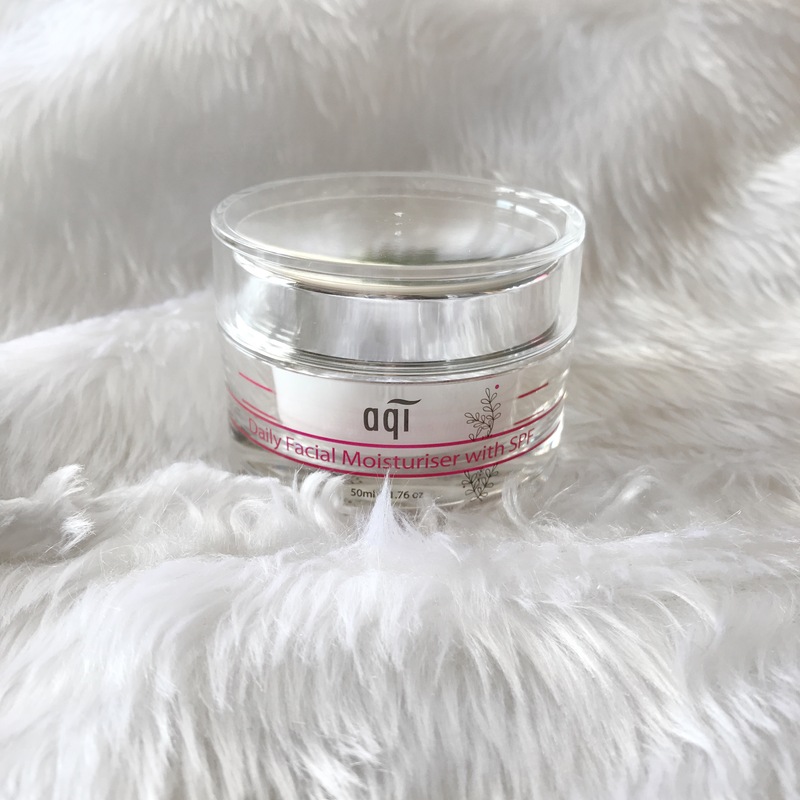 If you are unfamiliar with AQI Skincare, I briefly want to chat about the brand themselves so that you have an understanding of where they’ve come from. AQI (Australian Quality Ingredients) was established in 1993 and are focused on developing high-quality skincare for anyone with dry and sensitive skin. AQI Skincare’s mission is to provide quality products at affordable prices, making good skin care accessible to everyone. AQI is also cruelty-free and is passionate about improving production to achieve more eco-friendly outcomes. I was sent the Daily Facial Moisturiser and the Ultra Hydrating Face Serum, along with four sample products. So let’s talk about each of them individually and talk about my experiences with the products. The Daily Facial Moisturiser retails for $29.95 and is said to moisturise and soothe dry, irritated or sensitive skin. The cream itself is very light on the skin and is oil-free, so it really is perfect for those of us who suffer from excess oil due to dehydrated skin. Once the moisturiser has absorbed into the skin, it does leave the skin a little tacky, which can be a good thing or a bad thing, depending on the rest of your morning routine. If you wear makeup, a tacky base is a great thing, because it helps the makeup adhere to the skin, and ultimately will keep your makeup on longer. If you don’t wear makeup and this step would likely be your last step, it may annoy you for your skin to stay tacky, but honestly I didn’t find it to be too much of a nuisance. I would definitely recommend this for people who are looking for a lightweight daily moisturiser, especially people with dehydrated skin, because it really is perfectly designed for us! The Ultra Hydrating Face Serum is $29.95 and contains 10% of Sodium Hyaluronate to boost skin radiance and combat dull, dehydrated skin. Hyaluronic acid is found naturally within the skin and acts as a cushion to promote collagen and elastic. Hyaluronic acid holds 1,000 times its weight in water, so it is a super magnet for moisture. Sodium hyaluronate is the sodium salt of hyaluronic acid, and is a smaller molecule, which allows it to more easily penetrate the skin. It can also hold 1,000 times its weight in water. So this product is basically a super hydrator that works deep within this skin to repair it from more than just surface level. This product is great for those with fine lines and wrinkles and dehydrated skin. I have been really enjoying this product but I will say, I’m finding I get similar results from the Ordinary Hyaluronic Acid Serum and that is both cheaper and more accesible so I’m a bit torn as to whether I would recommend this over the Ordinary serum. I’m always very nervous to try body washes and soaps because I do suffer from pretty bad dermatitis on different parts of my body, but this body was didn’t irritate me too much! I enjoyed the botanical scent and it kept me clean. I enjoyed it while it lasted but I’m pretty indifferent to a lot of soaps so I’m not jumping up and down recommending this to you because I’d be happy with almost anything. It wasn’t bad though, so at least there isn’t anything negative to report. The same can really be said for all of the other samples I received. I enjoyed using them while I had them. I wouldn’t be mad to have purchased these myself but I also wouldn’t rush out to repurchase them, if you know what I mean. I do think I’d repurchase the daily moisturiser, because I do really like it under makeup and that is a concern of mine with a lot of daily moisturisers. I like the brand because I like what they stand for and I like the products that they’ve formulated. So if you’re looking for a natural skincare brand directed at dry and sensitive skin concerns, you might want to have a look into the brand and see if they might be a right fit for you.